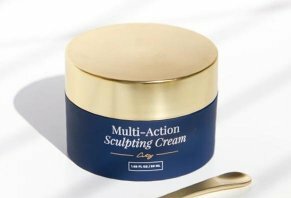 Multi-Action Sculpting Cream by City Beauty Reviews - Hype or Legit? The Multi-Action Sculpting Cream from City Beauty is an intensive moisturizing product meant to visibly restore your skin’s elasticity to reduce the effects of aging. The company claims that this cream’s formula will nourish your skin so that it develops a “taut, springy” feel that visibly reduces wrinkles and fine lines. City Beauty is a luxury skincare brand based in Los Angeles that is dedicated to helping women look their best as they age with “functional beauty” products that they claim offer more than surface-level skin benefits. The company is most known for City Lips, a lip-plumping gloss that we’ve highlighted before. Their Multi-Action Sculpting Cream expands the collection by purportedly targeting the underlying causes of thinning, sagging skin to increase toning and tautness. Will this cream work as described? You’ll have your answer after reading this article. How Does the City Beauty Multi-Action Sculpting Cream Work? The company claims that the sculpting cream can offer benefits to all skin types. To use, scoop a small amount into your hands to warm it up before massaging it where your skin needs the treatment. According to the company’s marketing material, the Sculpting Cream works due to three proprietary compounds that it contains: EASYLIANCE™, PROGELINE™, and IDEALIFT™. EASYLIANCE™: This ingredient is derived from acacia and sunflower, and purportedly gives the skin a tighter appearance within five minutes of use by forming a contouring network on the skin’s surface that reduces the visibility of fine lines and wrinkles. PROGELINE™: Promising to decrease your skin’s levels of progerin (a skin-aging protein) by 22%, this peptide ingredient restores your body’s natural repair process. The compound is also claimed to help promote healthy levels of collagen and elastin in your skin. IDEALIFT™: This compound is claimed to stimulate elastin synthesis to improve the structure of your skin so that it holds its shape without sagging. These benefits sound impressive, but it’s hard to unpack any details without knowing the specifics behind these proprietary ingredients. Can we learn more from the ingredients list? We don’t claim to be chemists at HighYa, but our research into third-party websites like WebMD and the EWG cosmetics database showed us that most of these ingredients are frequent additions to skin creams and act as moisturizers, skin conditioning and thickening agents, emollients, solvents, fragrances, and preservatives. Nothing stood out to us as potentially dangerous about this product, though Acacia Senegal gum does have a slight risk of organ system toxicity (but only when ingested). Likewise, some people have skin sensitivities to phenoxyethanol, so it might be smart to try a small amount of this cream before committing to treatment if you think you are one of them. What Does City Beauty Multi-Action Sculpting Cream Cost? At the time of writing, this sculpting cream was sold exclusively on City Beauty’s website. The price per jar depends on how many you purchase, with one costing $49, two $88 ($44 each), and three $117 ($39 each). The company offers a 60-day trial for each purchase, meaning that you can request a full refund if you don’t like the changes you see within two months of use. You can get in touch with any further questions by contacting the company through phone (1-800-347-1558) or their email page at support@citybeauty.com. While we couldn’t find any independent reviews of this sculpting cream online, the product’s reviews on the City Beauty website and Facebook page still provide plenty of information about what users think of it. Overall, the reviews we saw were impressively positive about this product. Many people reported that they noticed differences in the texture and toning of their skin after a few weeks of use. Some even said that friends and family complimented them on their appearance. A few people weren’t as enamored with the cream because they felt that it dried out their skin and left it feeling tight. However, the vast majority of reviews we read awarded the product five stars. Even so, it’s important to note this potentially isn’t a balanced perspective because all of the reviews are moderated and published by City Beauty. For those looking to tone their skin, there are other sculpting cream brands to consider besides City Beauty. Two popular options are the StriVectin Tightening and Sculpting Face Cream, and Olay Regenerist Micro-Sculpting Face Cream. Are either better contenders for your face? Let’s look closer. The StriVectin Cream promises to nourish your skin to visibly plump up your face and improve definition. The product relies on a ‘proprietary NIA-114 technology’, which claims to target problem areas in the skin to deliver results that pack a punch. The company website states that 97% of users report firmer skin after eight weeks of use, and Amazon reviews show this cream averages 3.5 stars out of five after 40 reviews. Pricewise, you’ll pay $95, or approximately twice as much as you’d pay for a jar of sculpting cream from City Beauty. Another product worth considering is the Olay Regenerist Micro-Sculpting Face Cream. Like the other two creams, it promises to penetrate your skin to provide deep hydration that improves elasticity while reducing wrinkles. This cream contains hyaluronic acid, a common compound in skincare products that’s used to help skin cells maintain their moisture content. You’ll pay less for this product than the others, as it costs $21.74 per 1.7-ounce jar on Amazon, which is approximately half the price of City Beauty’s cream. Even so, customer reviews show us that many people are convinced it works, as the cream averages four stars on Amazon after more than 3,000 reviews. Our View: Should You Try City Beauty’s Multi-Action Sculpting Cream? From this report, we’ve learned that City Beauty’s Multi-Action Sculpting Cream is a product offered by a reputable beauty company that claims to erase your wrinkles and add moisture to your skin. The company bases these claims around the proprietary ingredients within the cream, but we couldn’t determine anything specific in the ingredients list that stands out from other skincare products that might be responsible for these effects. While customer reviews of the cream are hard to find off the product website, the reviews we read were glowingly positive about its skin rejuvenating effects. However, the two other sculpting products we looked at had similarly positive reviews, and one (Olay Regenerist Micro-Sculpting Face Cream) comes in at half the price. If you’re on the fence about trying this cream, we think there’s enough reason to give it a try. So long as you keep the 60-day guarantee in mind, you should be able to get your money back if it’s not right for you. I started using the cream about a week or two ago, and I believe I am seeing an improvement on my neck and face. My skin seems to be firming up - better than previous products I've tried before. I'll know more after using more of the product, but I am pleased at this point. I watched the video about Sculpting Cream on Facebook, I was so excited to try my Sculpting Cream for the first time. I got mine on March 16, 2019 and I have been using since then and I don’t see anything different. I sent them an email and never got a response! The only thing they keep sending me is advertising to a new product! I'm very disappointed, I don’t recommend. Have been using the cream for about a week now. My skin feels good but I haven’t noticed much change yet. I will continue to use it for another week or two to see if there will be any significant changes. Noticeable improvement in firmness and my skin feels nourished. Will definitely be my go-to contour cream. I do let it fully absorb into my skin before proceeding with my makeup foundation application. I have only been using MASC for three weeks so I'm hoping I see a change. I'm 62 and have tried so many products that promise they can take 10-20 years off - so far simply untrue. I do feel a tightening effect, but I do need to apply a moisturizer once dried as my skin feels dry. Also with geo-blocking, the $30 charge for posting ensures I cannot afford to buy often. I have almost finished my first jar, and I see a small improvement in pore size, very little improvement in the firmness of the skin. The overall quality of the product is good. It penetrates the skin quickly, which I like a lot. Works very well under makeup. I deliberated for a while before purchasing this product as I'd already spent a small fortune in an attempt to do something about my scrawny looking neck. I'm not very well off, but my turkey neck was making me feel old and self-conscious. Over the years I've often been told how much younger I look than my true age, which for any woman is a boost to one's self-esteem, but suddenly, despite my still youthful looking face, my neck became an embarrassing give away and I had almost reached the point of resigning myself to the fact that I would have to accept this horrid sign of aging as inevitable. So, this order was literally a last-ditch attempt and I wasn't feeling confident at all that it would work. On top of the expense of my order, I had to pay for shipping, and like previous orders for items from US, I was expecting it to take an age to arrive. I was psyching myself up for a disappointment when I received a card from my postman informing me that my order was retained at my local post office because there was a fee to pay to Customs before I could collect. On the one hand, I was pleased with the relatively quick handling of my order and it's arrival, on the other, the extra unanticipated cost was a shock. I was berating myself for what I deemed to be, my pathetic gullibility. The first time I used the cream, I thought I saw a slight improvement, but I wasn't ready to trust my own perception so early. Continued use over only a week, however, has been just short of miraculous. I use the cream on my face and neck twice daily. I really wish I'd felt confident enough to take a selfie at the start for comparison. My neck had looked like a 70-year-old's attached to the head of someone in their 50s. I'm actually 63 but now back to looking 10 years younger. I'm now so pleased that I bought this sculpting cream and while I'm tempted to keep it as my own personal little secret, I also know that I'll be sharing details about it freely with every self-conscious crepey-necked woman I know who's feeling as desperate as I was and looking for a similar miracle when they ask me how I manage to keep looking so young. Thank you! I use this cream for my face, arms, and legs, and after using it for about a month, I do see a difference. I love how it makes your skin feel, beautiful scent. I have jowls on my lower cheeks and I can actually see a difference with an uplifting to the skin. You can feel a tightening feeling after you apply it. I have seen an improvement in my skin. There are less wrinkles around my mouth. I was very skeptical about whether this would work on my skin. Nothing else I tried worked. I spent over $200 on other products I saw on the internet and TV. I will recommend this to my friends. I have been using this cream each morning and night for two weeks. I haven't noticed a significant change in the wrinkles but have noticed my skin appears brighter and smoother. I would recommend trying. Husband noticed the difference immediately! After using the product for only a couple of days my husband commented on how young my skin looked! I’d say that is worth a million stars! The parentheses around my mouth have reduced by 59% in just a week. Write a Review for Multi-Action Sculpting Cream by City Beauty!